Fitzwilliam Street was once the longest uninterrupted stretch of Georgian housing in the world. This painting shows old houses on the street after they were torn down to make way for the ESB headquarters. 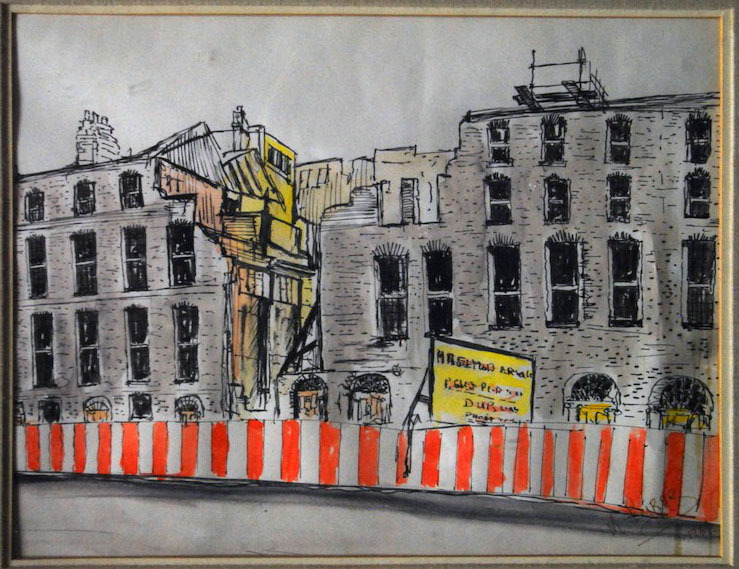 Michael Byrne’s painting of ‘Derelict Dublin’ shows the destruction of Fitzwilliam Street in 1967.